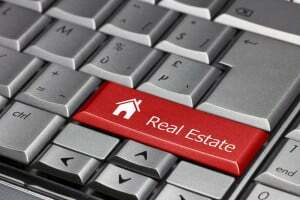 As a successful South Florida real estate agent, you know how important it is to have a quality real estate website. While any website will establish your presence online, a well-planned, feature-rich website designed by an experienced real estate web design firm like For Sale Marketing can do so much more. Our SEO-optimized, mobile-friendly real estate websites are loaded with interactive real estate marketing features specifically designed to help you attract and convert the highly qualified prospects that are the heart of every successful real estate agent’s business. Most real estate searchers will be using a smartphone or tablet during their home search, so your website needs to perform flawlessly on every size screen. Traditional websites designed for desktop viewing just don’t work well on today’s smaller screens – their buttons are too small to navigate with thumbs, and the large page sizes can’t be viewed without side scrolling. At For Sale Marketing, we’ve got you covered – our custom-created responsive real estate web designs automatically adjust to the viewers’ screen size and resolution so they are easy to view, simple to navigate, and guaranteed to look good no matter how you view them. At For Sale Marketing, we realize how vital your real estate blog is to your website’s success: it gives you the perfect forum for presenting new, relevant content, brings visitors to your website, and raises your search engine ranking. We design all of our real estate websites using WordPress as the content management system, so editing content is as easy as writing a Word document. The entire process is so simple to use that even first time bloggers will seem like real estate blogging pros in no time! Search engines love For Sale Marketing’s websites and blogs! Our WordPress designed pages have a smart design and clean coding that boosts search engines ranking, and once we optimize your website with keywords, long tail phrases, and custom meta tags, you’ll get the peak performance that will drive your site to the front page of search engine rankings. We’ll follow that up with detailed SEO analysis to help you target your content to increase search engine results. At For Sale Marketing, we never lose sight of the ultimate goal of your real estate website: getting the quality leads that will build your business! That’s why we’ve created a set of lead generating web forms that are specifically designed to take your visitors through that critical conversion point. Our concise forms are specifically designed to generate real estate leads online, with a short list of tightly targeted questions that will elicit just the info you need, without losing visitors’ interest with long, complicated questions or poorly tabbed navigation. Once visitors have found your website, don’t let them go without a fight! Our fully-integrated IDX solution integrates the MLS with your site, so visitors can search for listings without ever having to leave your pages. For Sale Marketing helps ensure your real estate agency is front of mind with your clients with a full suite of real estate interactive marketing strategies that include email marketing services, social media marketing for real estate, reputation management services, and much more – all tied into your real estate website for maximum effectiveness. When you choose For Sale Marketing as your real estate website design company, you gain instant access to our industry-leading customer support. Easy to understand tutorials, taught by our proficient representatives, will show you how to manage your website through our user-friendly dashboards and content management systems. If you ever need help with your website, call or email our U.S.-based customer support, and one of our representatives will help you. Once your real estate website is up and running, For Sale Marketing can help you complete your real estate marketing campaign with Branding packages, New Listing packages, professional real estate blog writing services, and much more. Contact For Sale Marketing today at 954-779-2801 for a dynamic real estate agent website design that will help your agency become this year’s Top Producer!